MBAtube - Compare MBA Programs one video at a time! 23 CEIBS MBA students were among those who took part in the gruelling 6th Asia Pacific Business School Desert Challenge held in Tengger Desert inside China’s Inner Mongolia. The 3-day 70 km-long challenge brought together 1,700 MBA students from 81 business schools across the Asia Pacific region. CEIBS MBA 2018 students Leeshin Yu, Anna Bi and Haoxiang Yang share their experience and emotional moments. How does it feel to land your dream job or internship? Find out, as our MBA students share their experiences of being accepted for competitive professional opportunities at Google, Ford Motor Company, Bank of America, the NBA and more. The Center: Where knowledge and ideas form a nucleus. Where dreams intersect with possibility. A starting point for which your life can go anywhere. This is how we at Columbia Business School define the Center: The Very Center of Business. 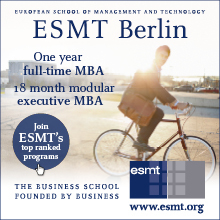 What is the MBA like? A group of our current MBAs, representing the Full-time Class of 2017 and the Part-time Classes of 2017 and 2018, share what it is like to do our MBA. Learn more about our programme culture. In order of appearance: Oksana Boichuk, Full-time 2017 Gan Li, Part-time 2018 Risto Doncev, Part-time 2017 Minh-Luc Pham, Part-time 2018 Ivonne Cano, Full-time 2017 Luzi Luzitoso, Full-time 2017 Renata Pollini, Part-time 2017 Cansu Kandemir, Part-time 2018 Aadil Attia, Part-time 2017 Rohit Jagadeesan, Full-time 2017 Yvonne Schröder, Part-time 2016 Daria Bugaeva, Full-time 2017 Marcel Reichen, Part-time 2017 Shot on location at the IFJ Startup Space in Zurich, Switzerland. MBATUBE.com recently visited Cambridge Judge Business School to learn more about their top ranked Full-time MBA program. We spoke with staff and students to find out how students are prepared for the ever changing future, while benefiting from an environment dripped in rich history. Diversity is a defining element of HKUST MBA, creating a place where individuals embrace all differences in backgrounds, cultures and values. This video perfectly captures our passion and spirit. 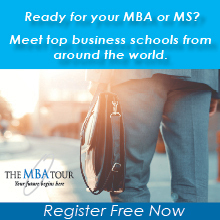 The MBA Tour | MBA2U - Join us in a city near you! 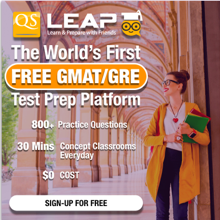 Thinking of taking an MBA? Search for top MBA Programs and view Promo, Faculty, Testimonial and Master Class videos from top ranked business schools around the world. List, rate, like and share your favorite MBA videos today! MBAtube.com is THE video portal to learn everything about MBA education. 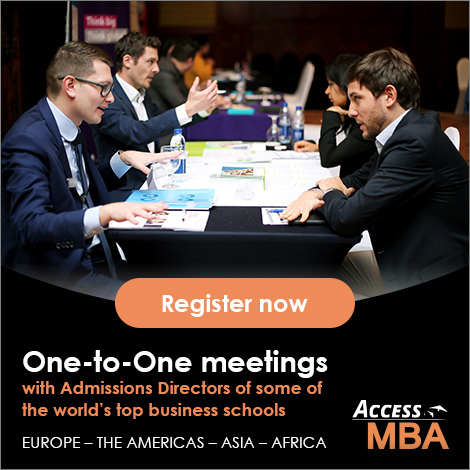 Search for top MBA Degrees matching your career ambition and share your personal profile with leading business schools around the globe! It’s FREE!